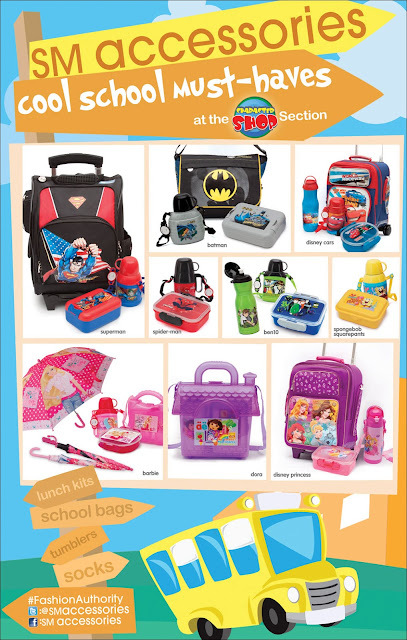 Can't believe summer season will be over in a few weeks and it's time for back to school for our little ones! And with the expenses from outings, summer break and tuition fees, we don't have enough for our kids supplies, right? Fret not! 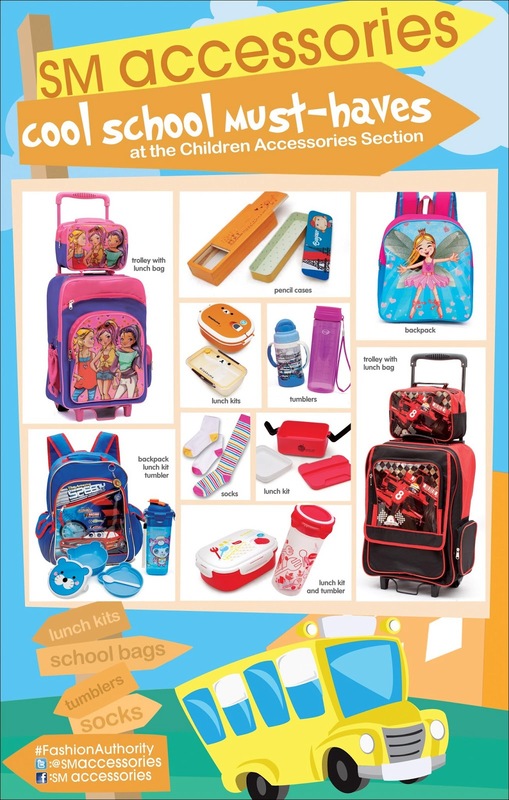 SM Accessories for kids will be giving away BIG discounts from bags, to trolleys, basic kids socks, tumblers and lunch kits! 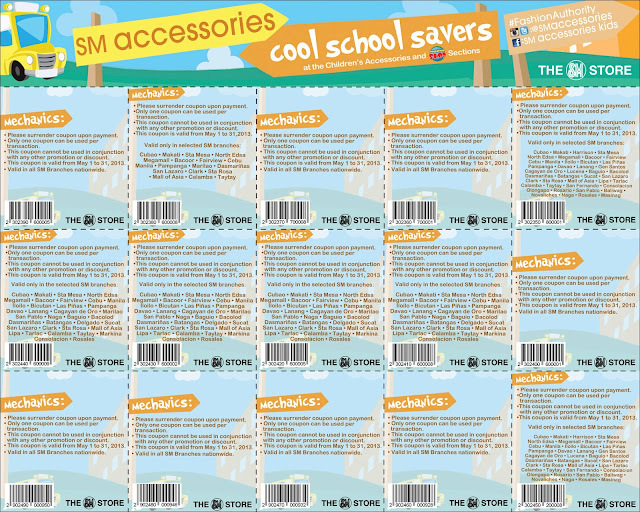 Watch out for these coupons to be distributed in-store and printed in major broadsheets this May. SM Accessories for kids also carries jewelry, eyewear, hanky, caps, belts, wallets, bags, brushes, hair accessories, socks, necktie, novelties, raincoat, and umbrellas. 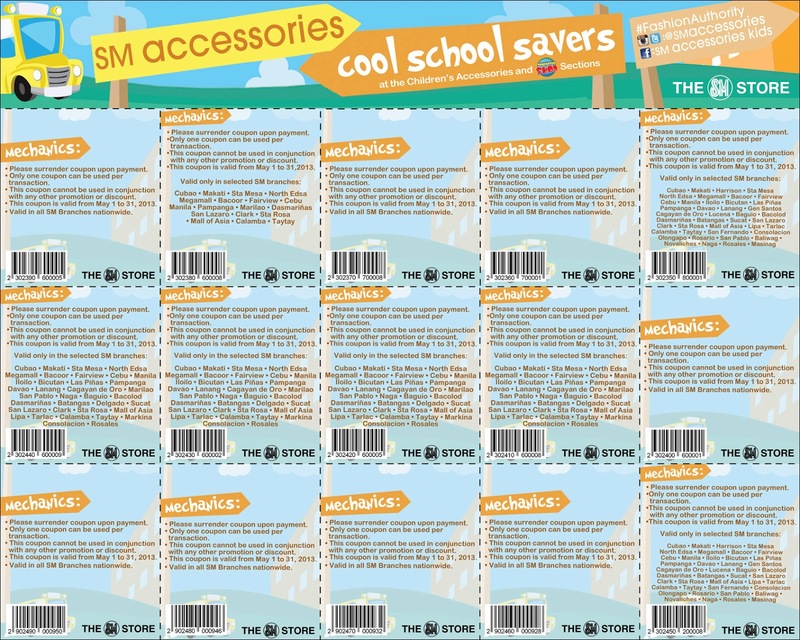 Complete your school list at SM Accessories! 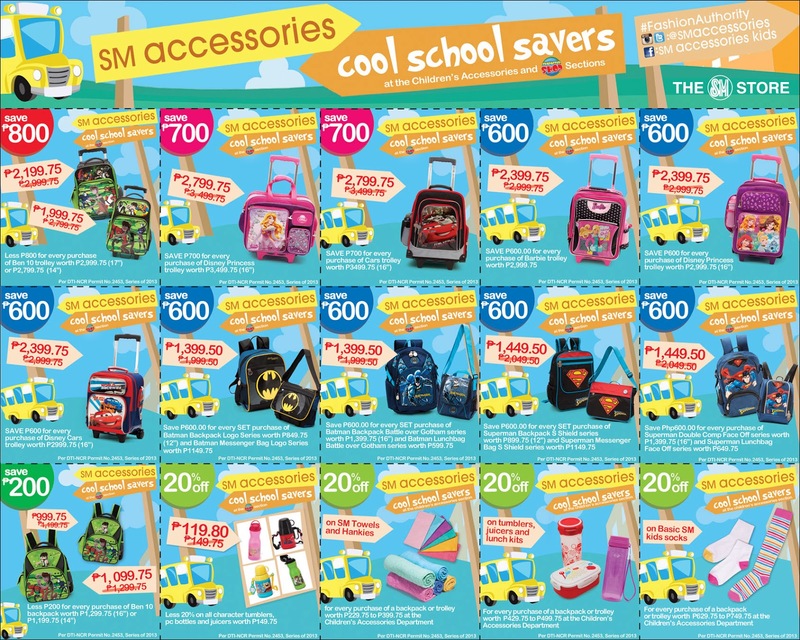 Save up to P800 on bags, socks & more! Like SM Accessories Facebook page for kids: https://www.facebook.com/SMAccessoriesKids for more updates!